The best of the Colditz attractions is, of course the castle itself. This was the location of the famous World War II POW camp for Allied officers, subject of numerous books and films. To read up on the castle history and see what it's like now, go to Colditz Castle. 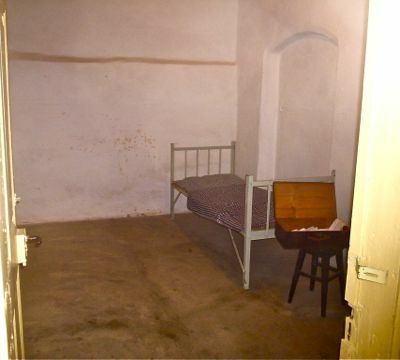 The museum is located in the castle and has an interesting collection of items prisoners used in their escapes. Fake uniforms, fake-ID's, dummies, a prisoner's bed and bedding, escape tools, a home-made typewriter, photos and many other things. The museum is open daily, 10:00 am to 5:00 pm. (closes at 4:00 pm Nov-March). Entry to the museum is included in the guided tour fee (see below). Museum only: €4. Inside the castle, you can see the amazing French tunnel, another tunnel opening, the chapel, the 'cooler", the prisoners' courtyard, and the cells where the VIP prisoners (Prominente) were kept (nephews of the King and Queen of England, a nephew of Winston Churchill and the son of the American ambassador to Britain). Guided tours are given daily at 10:30 am, 1:00 pm, or 3:00 pm, April- October; 11:00 am and 2:30, November- March, by appointment. In English and German, €8.50. €5.50 for students and seniors. An extended 1.5 hour castle tour has been added (in English): given daily, at 10:30 am. €15 for adults, €10 for under 14 yrs. (under 10 free). The tours are given by Steffi Schubert; you can contact her via email at schubert.steffi@t-online.de to arrange for tours. You can also get information about them at the Tourist Information Office (see below). 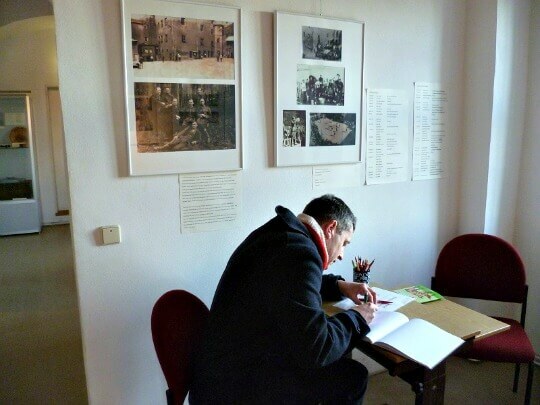 The castle office can be reached directly via e-mail at colditz.castle@t-online.de or by phone: 49 034381-43777. 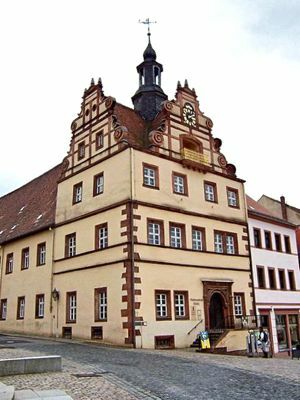 A good place to pick up information on current hours, tours, hotels, rooms and other Colditz attractions is the Tourist Information Office, or Fremdenverkehrsamt. They are located on the main square at Markt 11. The people there are very friendly and helpful and can check on availability of rooms in homes or hotels and give you information about times for English tours and answer other questions. There is a museum of local history (Stadtisches Museum) near the entrance to the castle at Tiergartenstrasse 1. On the sloping main square (Markt) is the town hall, or Rathaus, along with many other charming older buildings. Just past the castle there is another hill with stairs climbing up through a collection of semi-ruined buildings. If you have the stamina to get to the top, you'll be rewarded with a beautiful panorama of the castle, town and river. You are actually looking down on the castle from there. The Marktstuebl at Markt 20 and the Schloss Eis Cafe Venezia at Markt 9. The latter serves huge, artistic dishes of ice cream, which are great to nibble at on a warm day sitting outside on the square. If you like medieval castles, you might want to take a look at two very old, very impressive ones located not too far from Colditz. They are Burg Kriebstein and Burg Mildenstein. For more information, take a look at the English version of the website at www.schloesserland-sachsen.de. More about Colditz castle and its history.